In December 2016, I thought about which stocks would outperform the market. When I released my report of 2016 three months ago, I included these stock picks at the end of the document. Contrary to last time, not 8 but 7 stocks were picked. To be completely fair, 2 of those picks are Funds. Of course, a report on my reasoning and calculations will follow shortly. This will be delivered the 1st of June. 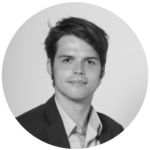 The simulation uses 10.000 EUR evenly divided over 7 stocks (€1428 each) and does not take into account transaction or holding costs nor does it count dividends. Five stocks are bought in USD and two in EUR. For this mid-year review, currency changes are not taken into account. As mentioned in the last report, 2 of the stocks of 2016 remained in the basket. These are IBM and Take-Two Interactive. Please read the 2016 report to get a full grasp of why I bought these. My third pick for 2017 is Bank Of America. This large financial institution is very sensitive to rising interest rates in the US. It has posted good results, yet the market return is not satisfactory. FireEye, the forth member of the team, is a beaten down cybersecurity stock. The final individual stock is a Portuguese company: Corticeira Amorim, the largest cork producer in the world. 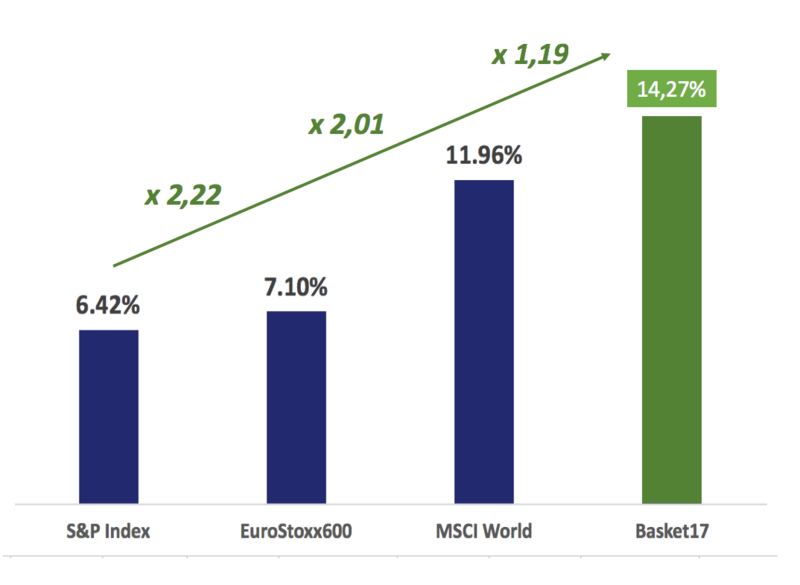 Two funds have been added to this basket of stocks: Fidelity Funds India (EUR) and Blackrock World Gold (USD). The returns do not include dividends or currency changes. Data has been taken from Yahoo Finance and the official NASDAQ website. However, this might slightly differ from Data provided by your broker or other websites such as f.e. Google Finance, but is in no way manipulated for results to look better or worse. 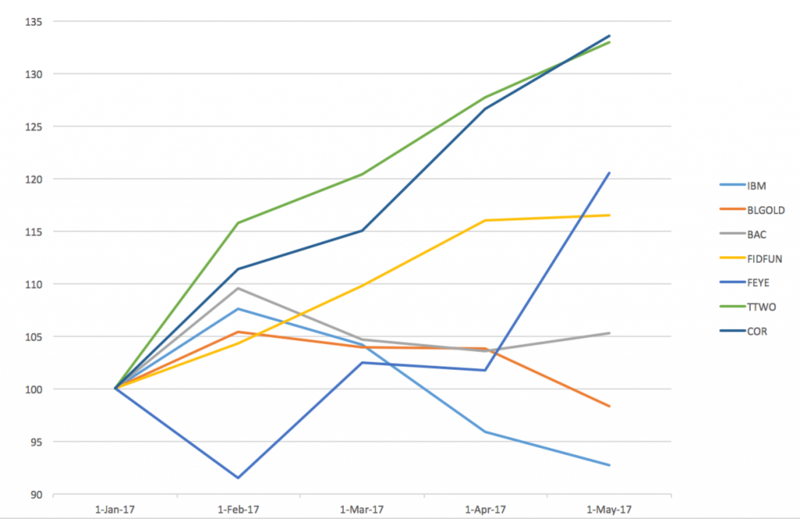 The return of each individual security on 5th of May 2017 has been benchmarked to the S&P Index, Eurostoxx600 and the MSCI World Index. 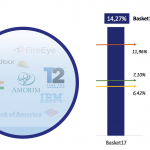 The bar on the far right, “Basket17”, is computed as an average of the seven stock returns. Until now, it has outperformed the markets by a factor of 2,22 for the S&P, 2,01 for the Eurostoxx600 and 1,19 for the MSCI world. IBM and BlackRock Gold have been the worst, and only negative, performers. Warren Buffet has recently sold 1/3 of his stake in IBM, so I expect the carnage to continue in the foreseeable future. Even though the Gold Price stood at 1157 USD/Oz (source: goldbullion.com) January 2nd and the current price is 1227 USD/Oz, gold miners failed to profit from this evolution. Prices are heavily influenced by political tensions such as the French elections and military drills near the Korean peninsula. However, the appreciation of cryptocurrencies might hint to a demise of Gold as a safe haven for investors. Fidelity Fund India has performed well, beating MSCI world and our ’17 Basket. I reiterate my belief that key drivers for economic growth are population growth, an increase in the urbanization rate and better labor productivity. Following Donald Trump’s election as POTUS, an emphasize was placed on security. In this day and age, cybersecurity is ever more important. Continuously posting bad results across the board, US-based FireEye has been beaten down for years. It recently posted better than expected results with a new CEO at the helm. The stock jumped 15% in one day. Gaming company Take-Two Interactive has continued its impressive run. It’s up over 30% YTD and nearly 90% since I first recommended it January 1st, 2016. Finally, Corticeira Amorim performed even better with a very strong run the last two days. The stock is up 33% YTD. The company produces cork stoppers for 4 billion wine and champagne bottles each year. Increases in demand come mainly from the US and China. Nearly all securities were of to a good start. In February, the top performers were TTWO, COR and BAC. The worst performer, FEYE, lost nearly 10% in value in a month. Going forward, BAC, IBM and BLGOLD reversed their gains. TTWO, COR and FIDFUND continued their gradual climb higher throughout the period, but IBM’s return turned negative in April. 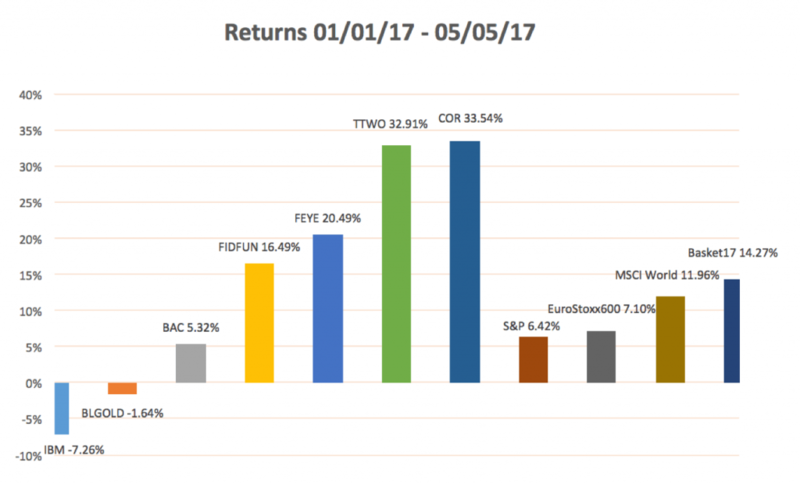 In May, IBM and BLGOLD posted negative returns, while FEYE has greatly jumped higher and BAC started to pick up its growth. FIDFUND’s growth is starting to stagnate and BLGOLD moves lower more rapidly. This article is intended to provide information to interested parties. As I have no knowledge of individual investor circumstances, goals, and/or portfolio concentration or diversification, readers are expected to complete their own due diligence before purchasing any stocks or securities. This is not investment advice. I wrote this article myself, and it expresses my own opinions. I am not receiving compensation for it. I have no business relationship with any company whose stock is mentioned in this article. I do, however, hold long positions in several securities found in this analysis. I finished my major Economic Sciences (globalization) at Ghent University. After discovering Asia with a backpack, I worked at Deutsche Bank Belgium for 6 months. I am currently pursuing a Master in International Management and Strategy degree at the Vlerick Business School in Brussels. Previous Post: An Ode on Ravishing Radishes – E.A.